It would perhaps have been better to use Sister Act 2 which is bursting practically start to finish with singing and so would have been better for this type of event. 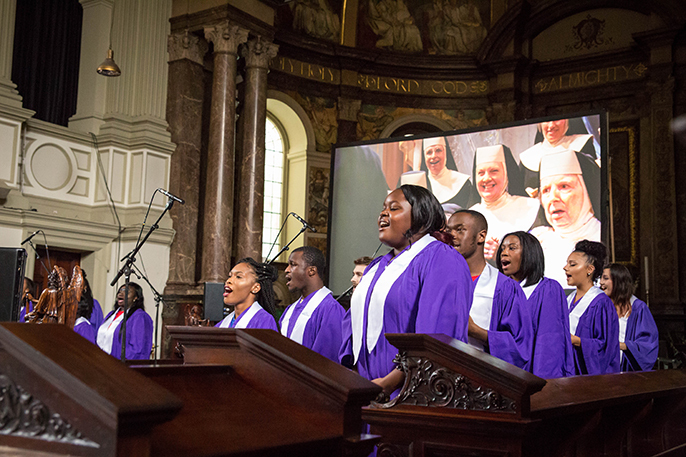 Sister Act Live was brought to Central Hall, London by Amacoast. Amacoast organises cinematic experiences which combine live performers with spectacular immersive surroundings to create an unforgettable event. The idea is an interesting one and was well received judging by the numbers of attendees at Friday’s opening night (21 April 2017). 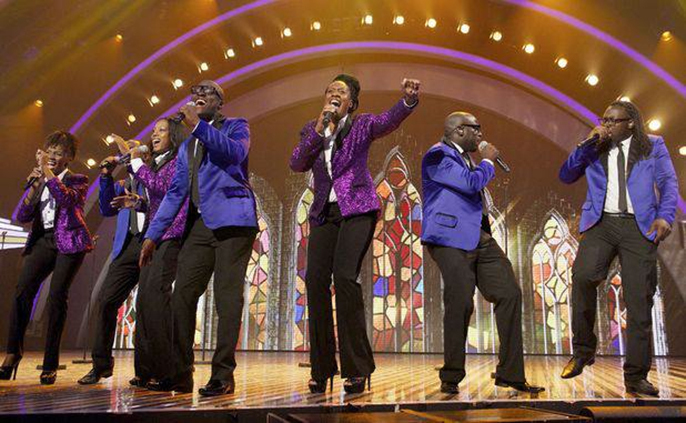 The concept is to watch Sister Act and sing-a-long to the musical sections of the film. To support this Amacoast had a 35 piece gospel choir and another gospel group to provide vocals. Unfortunately the concept didn’t work for a number of reasons with the first being the Sister Act shown doesn’t work that well for this type of event. Though we have firm favourite songs from the film there are not that many songs to keep the momentum up. This meant there were large pauses before the choir could perform. Though the event had promise of a sing-a-long (some eager audience members clutched their song sheets) this did not happen as the structure of the event didn’t support audience participation – there were no song words on the screen, no ‘conductor’ to give the audience ‘permission’ to get involved so it became a situation where the film would switch to silent and the choir would sing and the audience would watch which was fine but passive. A key reason it didn’t work for me is that the film’s highlight is watching the terrible choir become amazing and so taking out that high point and replacing it with a choir that were good but did not have or at least display the ability to transport the audience to feel that upliftment and excitement was disappointing. On top of which other than a solo by one member of the choir who had a good voice the first performer for the film was not strong and the soloist who took the lead in the rest of the songs had a sore throat or simply not a strong enough voice, so this also diminished the impact. It would perhaps have been better to use Sister Act 2 which is bursting practically start to finish with singing and so would have been better for this type of event. 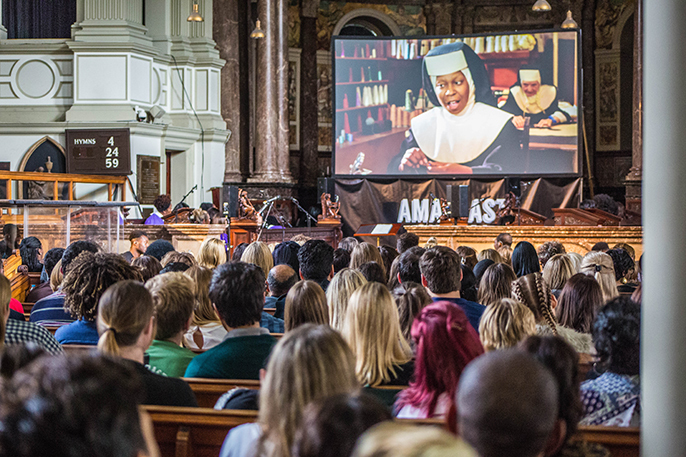 I attended the event with quite a degree of excitement, I’m afraid I left having remembered why I had liked Sister Act so much but not feeling like I needed to watch it in this type of format again. There is scope for improvement and I hope Amacoast do try because the foundation for a good event is there and audience members did enjoy themselves.